I am a woman in STEM. And I believe that right now I am looking out at a room full of future women in STEM. women in non-STEM jobs, but are less likely than their male counterparts to work in a STEM occupation. 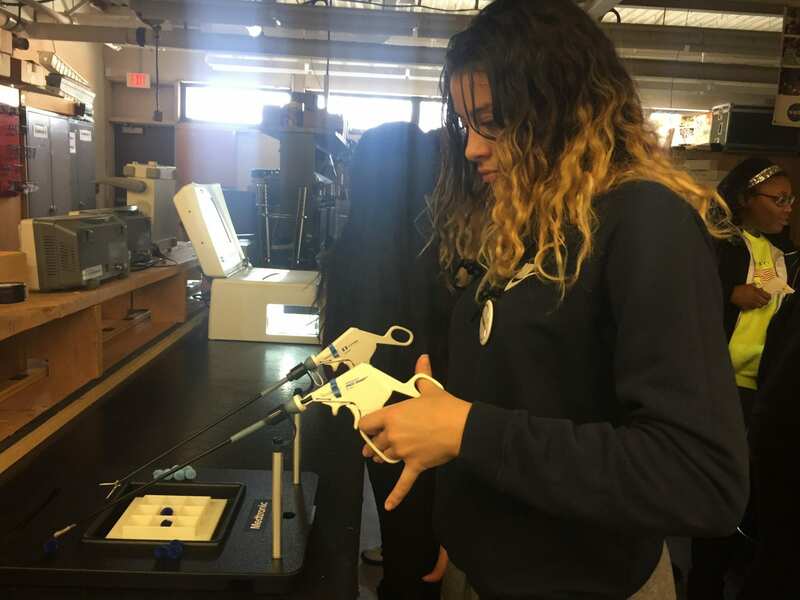 Throughout Connecticut, passionate individuals are working together to address these inequities and promote women in STEM. 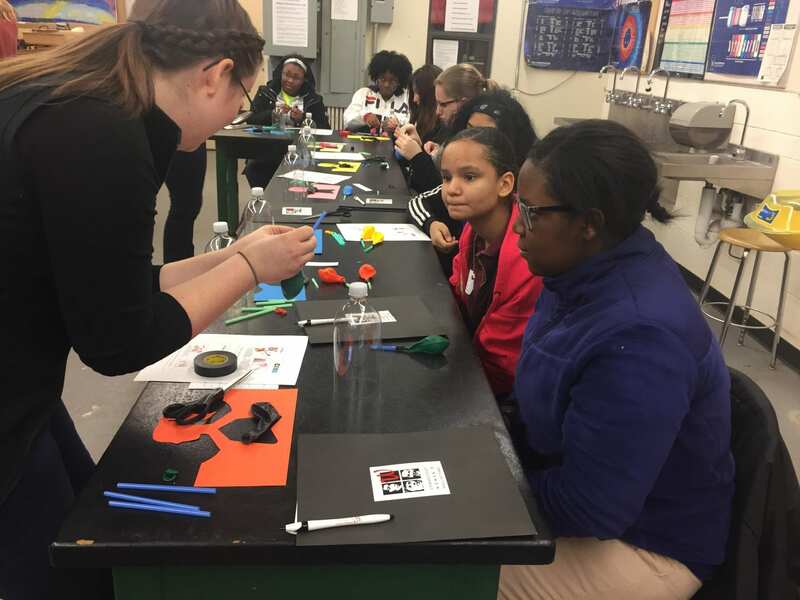 forces with the Connecticut Women’s Hall of Fame (CWHF) and the Science Technology, Engineering, Math & Design Academy at Manchester High School in an inspiring day of women in STEM. The program, aptly named STEMfems, is part of the CWHF outreach initiative to break down the barriers to female participation in STEM. Over 80 girls from local middle and high schools began the day with an inspiring presentation from Lena Pacheco, Director of Education at CWHF, connecting STEM concepts to history, social change movements, and the real world. 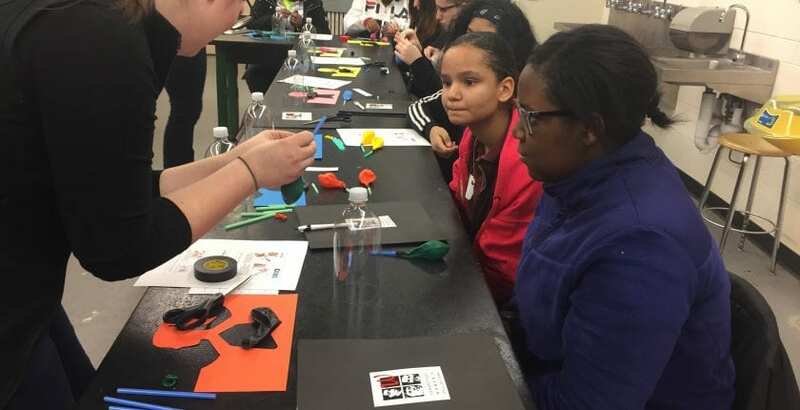 Students were exposed to powerful female STEM role models like geneticist Dr. Barbara McClintock, astronomer Dr. Dorrit Hoffleit, and 3D printing giant Jennifer Lawton, showing them the breadth of possibilities available through STEM careers. Following the kickoff presentation, students then participated in a Surrounded by STEM game facilitated by Career In STEM Founder and CEO Ashley Pereira. How does STEM relate to pizza? Snapchat? And many more! Students were challenged to identify the science, technology, engineering, and math that exists in the objects, actions, people, and places that they experience as part of their everyday lives. This fun game helped girls to break down stereotypes and see STEM as much more than white men in lab coats. Participants in the STEMfems event then broke out into workshops, which they selected based upon their future STEM career interests. Workshops were led by local women in STEM including representatives from Eversource Energy, Medtronic, and Pratt and Whitney. Each workshop engaged girls in hands-on activities to connect learning to real-world applications, demonstrating the many ways women can make the world a better place through STEM. By this time students had worked up quite an appetite, and broke for lunch while playing a hilarious game of STEM Career Taboo. After lunch, students re-convened as a full group to participate in a panel discussion session. Female STEM professionals addressed participants’ immediate college and career concerns, and also encouraged them to consider their future plans. Students had an opportunity to ask their own questions, ranging from individual career paths to work-life balance and dreams to make the world a better place. 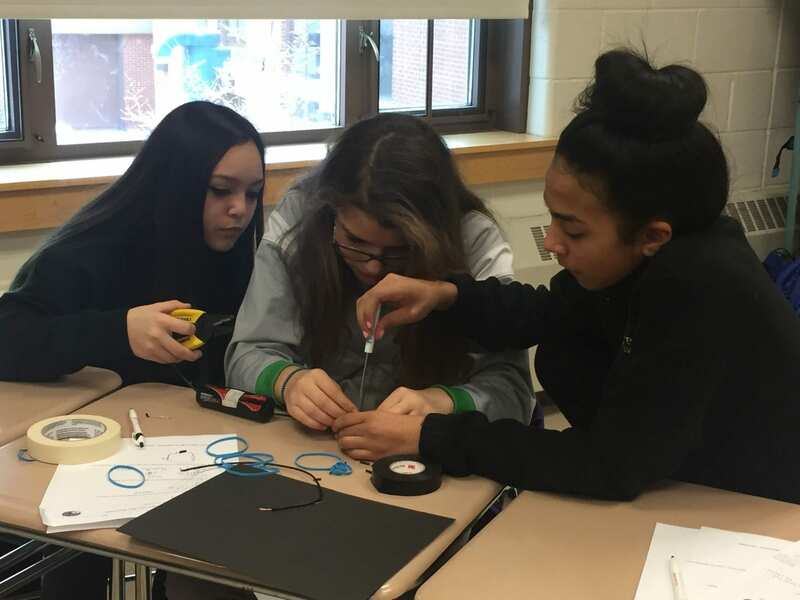 Through events such as STEMfems, girls in Connecticut are being empowered with the beliefs, knowledge, and skills they need to succeed in a future STEM career. Career In STEM is proud to partner with schools in nonprofits throughout the state in bringing transformative STEM programs like this to those who need it most. When I went to school, I remember both my sicence and math teacher were women. Maybe my school was rare in that way. I remember the music teacher was a man, as was the history teacher.